Looking at the Corruption Perceptions Index 2012 by Transparency International it’s clear that corruption is still a major threat facing humanity. Corruption undermines countries and institutions, it destroys lives and communities. Corruption amounts to a dirty tax, and the poor and most vulnerable are its primary victims. A sausage is a food made from ground meat with an intestine around it. 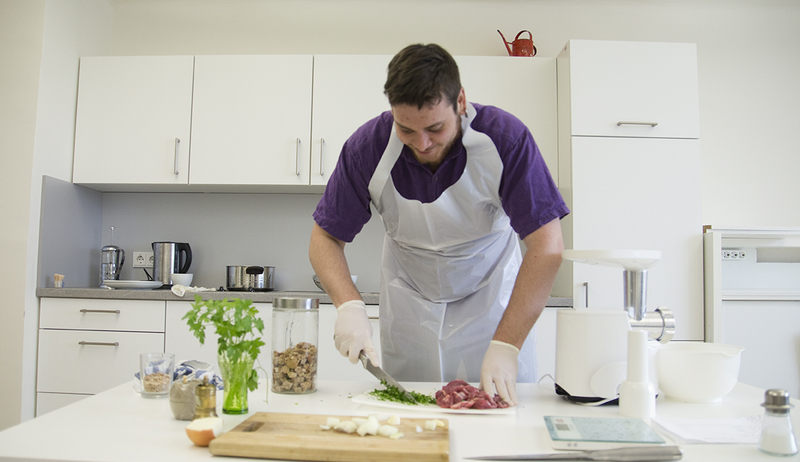 Traditionally, sausage makers would salt various tissues and organs such as scraps, organ meats, blood, and fat to help preserve them. Yet, with the mass produced factory-made sausage, nobody really knows what the producers choose to be its ingredients. Identically there is difficulty in measuring corruption, which by definition happens behind the scenes. 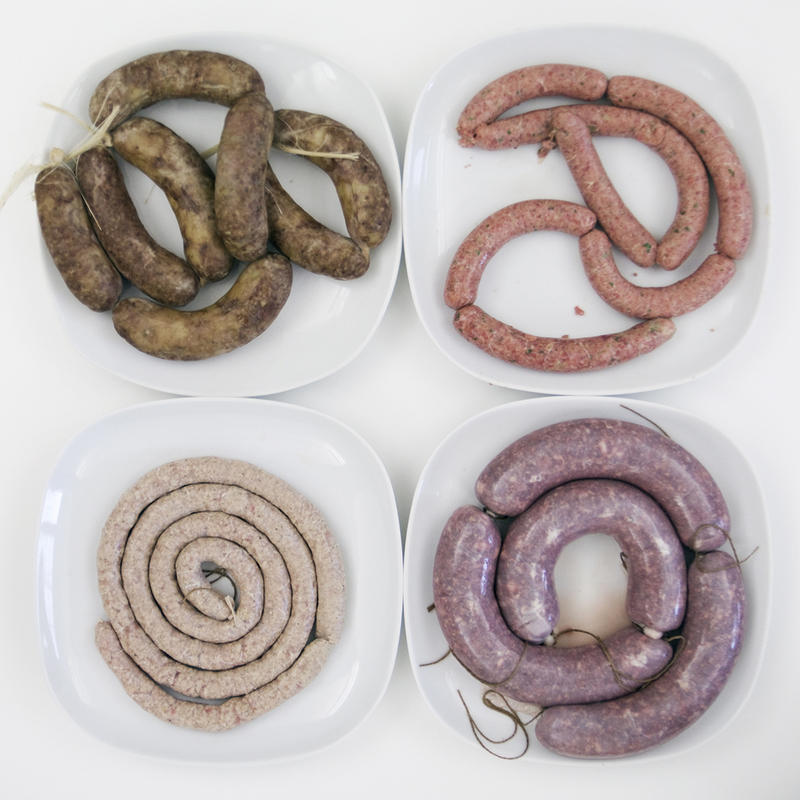 In this Taste of Data project, four types of sausages are made using traditional recipes from four countries, this includes the Austrian Käsekrainer, the Australian Basic beef sausage, the Italian Cotechino and the Bulgarian Nadenica. 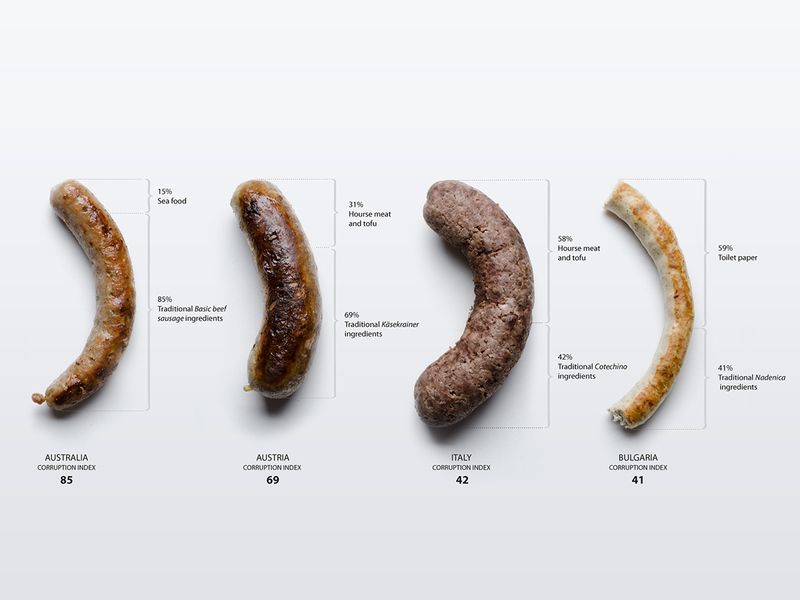 The sausages are prepared proportional to their Corruption Perceptions Index position: one part is the traditional recipe and the other is related to a meat production scandal in each of these countries. The Austrian and the Italian sausage refer to the “2013 meat adulteration scandal” where foods advertised as containing beef were found to consist of undeclared horse meat. The Australian contains additionally seafood and the Bulgarian – toilet paper.